Q: What do you call wine that is not properly stored? Wine is a perishable good. The average consumer frequently forgets that simple fact when they leave their bottle sitting on their kitchen counter with the cork hastily jammed back in the top of the bottle. TRUST US–you don’t want to throw away all that hard work. The wine has been carefully sealed to avoid contact with oxygen and elements that will start to degrade its quality. 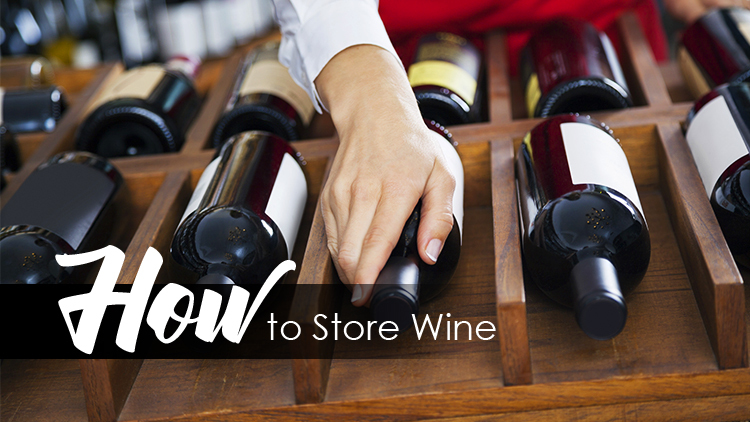 The vendor you bought it from was meticulous in proper wine storage before you added it to your cart. So many steps and so many people were involved in the process that got that bottle of wine into your hands in the best condition possible. Their hard work is sometimes rewarded with the consumer storing the wine at the improper temperature, improper lighting, and the biggest wine sin of them all – leaving that beautiful, delicious bottle of wine sitting on the kitchen counter while the oxygen and the elements quickly degrade its aromas, tannin structure, and the vibrancy of its fruit. 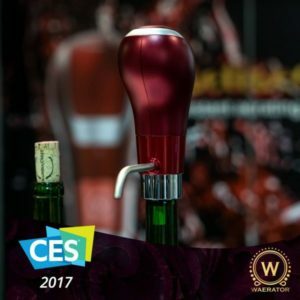 This is a big faux pas in the world of wine and can be easily prevented with a few simple techniques and gadgets. Proper temperatures to store and serve wine have been debated for years. While the consensus on the proper storage and serving temperatures of your favorite wines will likely be debated for many years to come, there are at least some basic rules of thumb that the average wine drinker can follow. 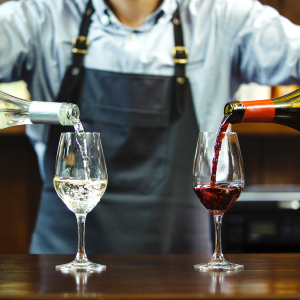 The optimal storage temperature that each wine should be served at differs, but overall storage rules of both white wines and red remain about the same. Wines should be stored at 55 degrees and out of direct sunlight. Heat is the enemy of wines and causes wine to deteriorate. Worse? Prolonged exposure to heat can cause the cork to literally pop itself out of the bottle on its own! Using your refrigerator is a good idea for short term storage (24-hours) however a common mistake is leaving the wines in the fridge for a week or more. The average refrigerator is around 44-45 degrees which is great for meats, vegetables, and milk, but can wreak havoc on a wine bottle. While heat is the main enemy of wines, too much cold can be harmful too. Also, the dry conditions can cause cork problems as well as causing the wine to get too cold which can lead to a more minerally, wet stone taste to your white wines and kill all the delicate fruit flavors in your red wines. Also, the dry conditions can cause cork problems as well as cause the wine to get too cold which can lead to a more minerally, wet stone taste to your white wines and kill all the delicate fruit flavors in your red wines. 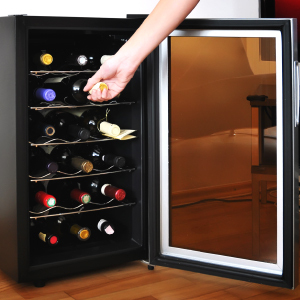 Storage of the wines need to be at the right temperature, but in some cases also needs to be at the right angle. If your hearty bottle of Napa Cabernet you just purchased is intended for long term storage/aging (more than 2 weeks) it is recommended that you lay the bottles gently on their sides. 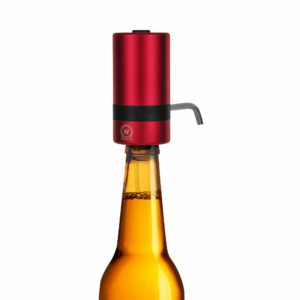 The main reason for this is because the cork may dry out and cause problems with the wine. Also, by laying on its side in a dark place, you are allowing the sediment to settle and collect within the curvature of the bottle. When you’re ready to use that bottle the wine should be slowly tilted upright to allow the sediment to settle at the bottom without clouding the rest of the wine. This should be done 1-2 hours before serving. If you want to start a heated conversation at a wine tasting event, suggest a wine serving temperature and most wine lovers will spend the next 30-minutes debating down the fraction of a degree what the best temperature is! A lot of wine lovers have the common misconception that room temperature is 72 degrees. Whenever you hear that you should serve a red wine at room temperature, 72 degrees is the most commonly given answer.However, you must remember when this serving suggestion was first implemented was in France in the 1700’s. What do you think the room temperature was in a castle in France? Oddly, it was not 72 degrees.Most red wines should be served around 65 degrees. This can be accomplished by putting your red wine in the fridge for a few hours, then removing it an hour before you plan on opening the bottle. White wines are served too cold. The colder temperatures mask the delicate flavors of the wine and in some cases, can change the flavor profile completely. As with a red wine, remove the white wine from the fridge and let it slightly warm before serving. The ideal temperature varies, but 50 degrees is a good target point for white wine. Oxygen is the best thing and worst thing for your wines. 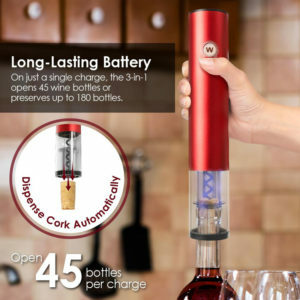 The minute oxygen hits your wine, a chemical reaction starts and the wine starts to degrade in quality.On the flip side, it is the introduction of oxygen in the short term that makes a wine come alive – or “breathe.”My suggestion is to store your open bottles with a seal which doesn’t allow air into the bottle after you are done drinking your glass. You want to be in control of the oxidation process. I suggest an aerator that also can seal the bottle. 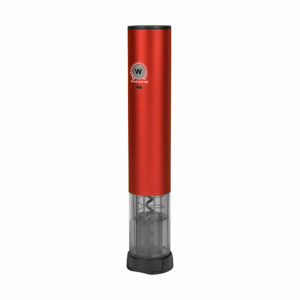 This allows you to control the oxygen that gets into the glass, only allowing it to enter when you are ready to drink and not anytime thereafter. I suggest an aerator that also can seal the bottle. 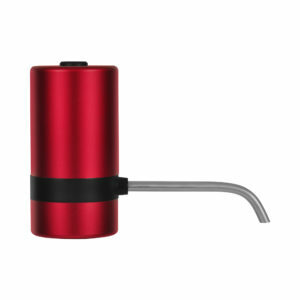 This allows you to control the oxygen that gets into the glass, only allowing it to enter when you’re ready to drink and not anytime thereafter. To sum it up: Store your wine in a cool dark place. Serve your reds colder than you think you need to and your whites a tad warmer. Store your bottles on their side. Light and oxygen are the enemy! 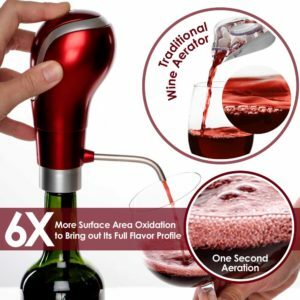 Use an aerator with a seal is your best bet. 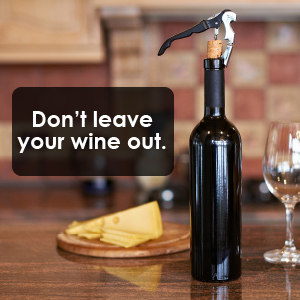 Quit using the cork wedged in the bottle to store your wine.